A blockade of Yemen by the Saudi-led military coalition fighting there was suppposed to have been eased. But there is still no sign of desperately-needed humanitarian aid at the port of Hodeidah amid UN warnings that thousands could die. The Red Sea port should have been able to receive food and other supplies on Thursday. But major agencies say aid is still being blocked. "We have not yet had any movement as of now," said Jens Laerke, spokesman of the UN Office for the Coordination of Humanitarian Assistance. The lack of aid was confirmed by Yahya Sharaf El-Deen, Deputy Manager of the Red Sea Ports Authority. 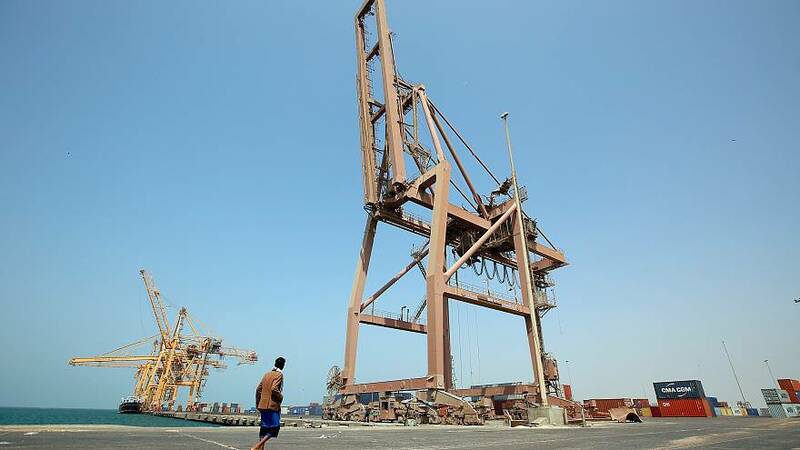 "There have been no ships entering Hodeidah nor sending communications to the control office of Hodeidah or the port of Salef, contrary to what the 'aggressors' media outlets have been circulating and despite the UN giving permission for its shipments to enter Hodeidah," he said. Jan Egeland, a former UN aid chief who now heads the Norwegian Refugee Council, said of the blockade: "In my view this is illegal collective punishment". UN aid flights have also been unable to land in the capital, Sanaa, despite pledges from the coalition fighting Houthi rebels that humanitarian access would be allowed. The coalition tightened its blockade of Yemen over two weeks ago after a missile was fired towards the Saudi capital. It said the flow of weapons from Iran to the Houthis had to be stemmed. Tehran denies arming the rebels. More than 10,000 people have been killed in two years of conflict. The United Nations has said some seven million people in Yemen are on the brink of famine while hundreds of thousands have been infected with cholera.